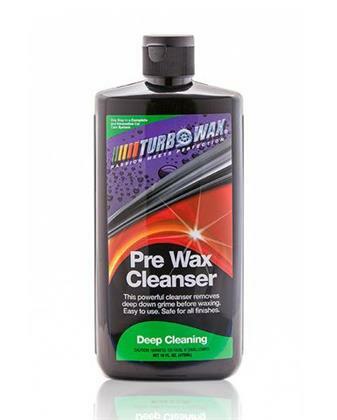 Turbo Wax Pre-Wax Cleanser cleans the surface of your car, removes oxidation, contaminants and old wax, optimizing your vehicle’s surface for wax. Our special formula removes light contaminants and surface light swirls from your vehicle. Our Pre-Wax Cleanser does not contain any solvents that will eat away at our vehicles surface.